Every year, a few thousand engineers get together and decide which projects constitute the absolute smartest ideas in their profession. This year, they’ve chosen the largest dome structure ever built—which can open and close in less time than it takes to make dinner. It’s always interesting to see what professionals, not outsiders or journalists, think are the smartest ideas in their industry. 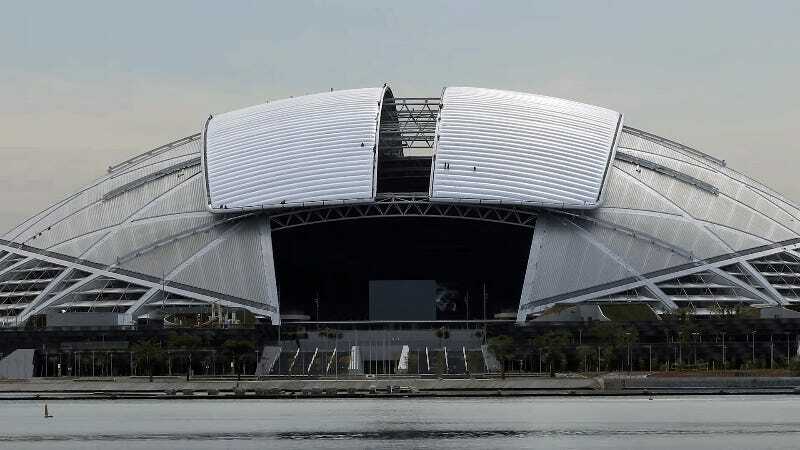 This week, the Institution for Structural Engineers—the largest professional group of designers in the world, with 27,000 members—announced that it’s awarding its Supreme Award for Structural Engineering Excellence (read: The Big One) to a stadium mega-complex called the Singapore SportsHub, designed by DP Architects, AECOM, and Arup. 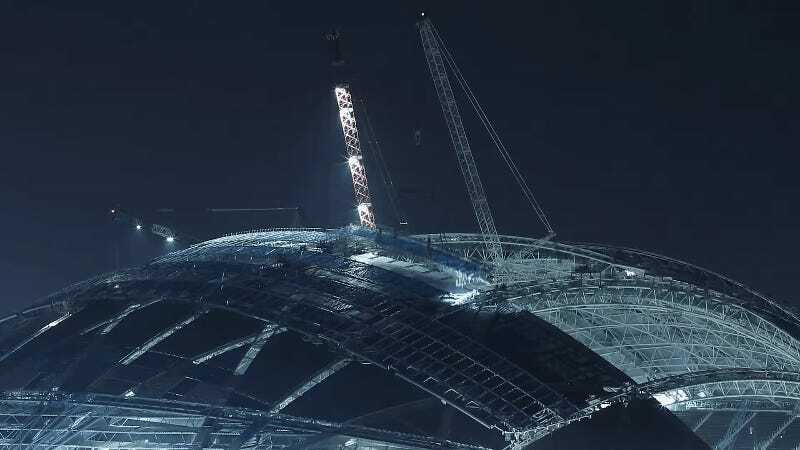 But on top of that steel skeleton sits a lightweight super-structure made of two pieces, each attached to rails that track down the sides of the main roof structure. (Bonus: the superstructure is embedded with 20,000 LEDs so it can act like a giant screen, too). These rails that crisscross the roof are like super-sized railroad tracks, permanently affixed to the building. In 20 minutes flat, they can move the thin superstructure from open to closed. It takes a small army of people to maintain and manage the roof’s various systems. 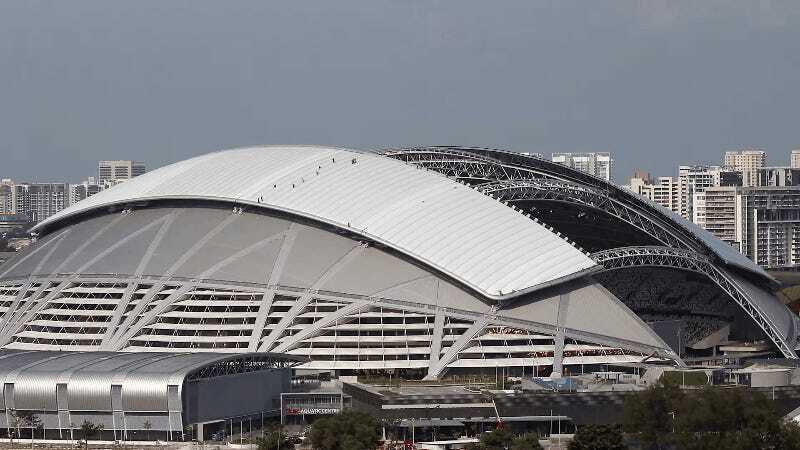 And according to the roof’s managing designer Stanley Cheah, it takes a full 30 minutes to climb from the stadium up to the roof structure, which sits about 260 feet above the stadium. This being tropical Singapore, the whole idea was to make the stadium almost instantly adaptable to extreme weather. The moment it starts raining, it takes only a few minutes to get the process started. 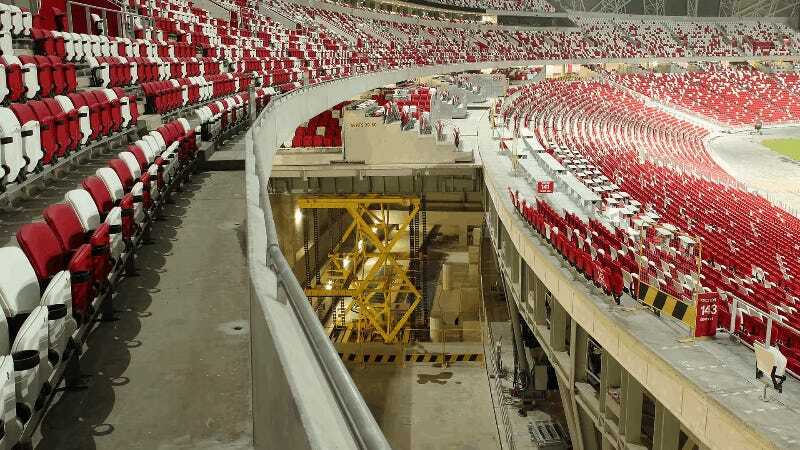 The intense heat of the region shaped the structure too: Beneath the ground structure, a system of pipes super-chill water and distribute it throughout the stadium, cooling air that is pushed through vents below the seats themselves. Oh, and if a giant web of super-cold pipes and a railroad roof weren’t interesting enough, the interior of the stadium can be transformed for different sports, too, using huge hydraulic lifts that add and subtract giant chunks of seating. I’ll leave you with a GIF. Lead GIF via Tapio Snellman on Vimeo. All other GIFs via Arup on YouTube.